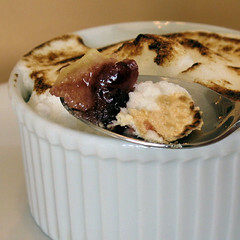 Cherrapeno: A Great British Pud - Fit For A Queen! Your pudding looks fantastic! I've yet to make mine for this month-hopefully, I'll get the chance to do so! Nic, it looks so delicious and not difficult to put together! YUM! Nic - this looks delicious. I'm going to try and give this a go at the weekend. Pixie - there's going to be a whole load of Q of P's popping up, I can just see it, lol! Patricia - thanks and it is super easy to make! Jules - have you had it before? That recipe is easy to cut in half if it's just for the two of you. Diva - thank you for visiting, and I love that combo of lemon, raspberries and meringue - there's so many things to make with them. Occasionally this pud hits our table, but perhaps not often enough, as it really is a great British pud. I could eat a few spoonfuls of yours now. Hi Nic, wow what a delicious looking pud!! You are making me drool here with your wonderful pics of this pud! 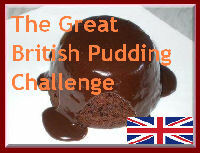 I have linked you up on my blog for this month’s pudding challenge. I love this stuff! - Gorgeous looking pud Nic. 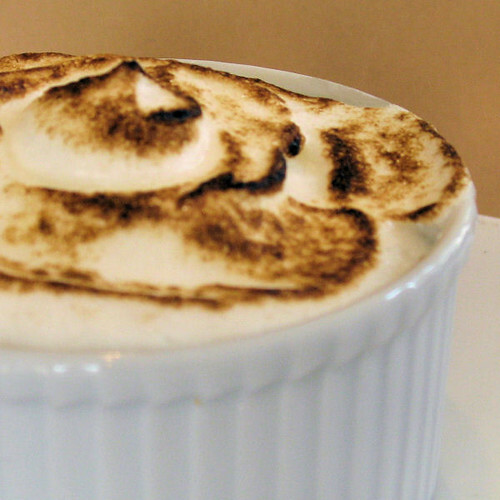 I love anything with a meringue on top, it looks so crispy and delicious! And I think the individual sizes make such a cute presentation. This sounds so delicious! I am a sucker for meringue. I've never had this type of pudding before it sounds delicious. That DOES look yummy! I never knew about British pudding - thanks for sharing! Margaret - I haven't made it in years actually! Rosie - thanks and also for choosing this dessert. Tarah - another fan of Q of P, good to hear it! Alfie, LyB and Deborah - thank you! Lina - this is nothiing like american pudding, the box stuff - so different! Valli - I wonder if that is why it's called that? Julie, Hillary and Susan - as I just said to Lina, this is quite different - give it a try, you may like it!! Susan - I don't know of any others with breadcrumbs, I will have to find out now!